Roger Waters, live, 1080p. Guess I’m not getting anything done today, damnit. 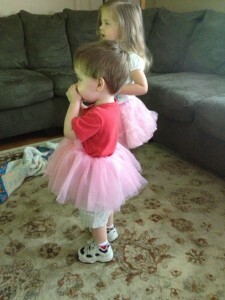 Luke was all upset when we let Jilly put on her tutu. So, we let him try on her spare. Lets hope that phase passes quickly. With escalating prices of the disposable razors I’ve been using for years, I’ve decided to go back to a (store brand) cartridge based affair. 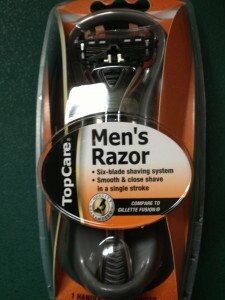 Last time I tried them, I think they were up to 4 blades. Now, 6! Let the bloodletting begin. Preparing for more fast cars and assorted motor mayhem. New Documentary Explores What Ghostbusters Is REALLY About – CinemaBlend.com. Coding Horror: The CODE Keyboard. Interesting. Wish there was a way I could test drive it. Mini classic Macintosh created with Raspberry Pi, runs System 6 video. I’m not a super emotional guy, but since having kids, I guess its true that everything changes. I don’t know Eric personally, but he occasionally shares both the highs and lows of his family life. That caught my attention straight out. A kid sick on vacation goes from bad to worse, eventually being diagnosed with a completely unknown brain tumor requiring immediate action. I’ve been trying to write this blog post for over a week, but the words until now have been lost. I’ve told a few people out the story and can’t make it to the end without tearing up. I’m not sure how Eric keeps it all together. He’s amazingly strong in the face of all this horror. I join his loyal audience in willing him more of our collective strength. If one of my kids suddenly became sick with some far more benign, I don’t think I could handle it. The story continues. The situation is somewhat stable, but lots more follow up is lining up. A forced temporary relocation for the first round of radiation treatment, a hurried analysis of medical centers back in their home town for ongoing treatment. A nightmare of planning and hurried logistics. The final jab is even in the best case scenario for treatment, the girl still only has a 50% chance 5 years out. Crushing. Time that I go hug and my kids a little more and say some more prayers.